Facilitating the Development of China's Construction Industry and Professionals to be in Line with International Standard. 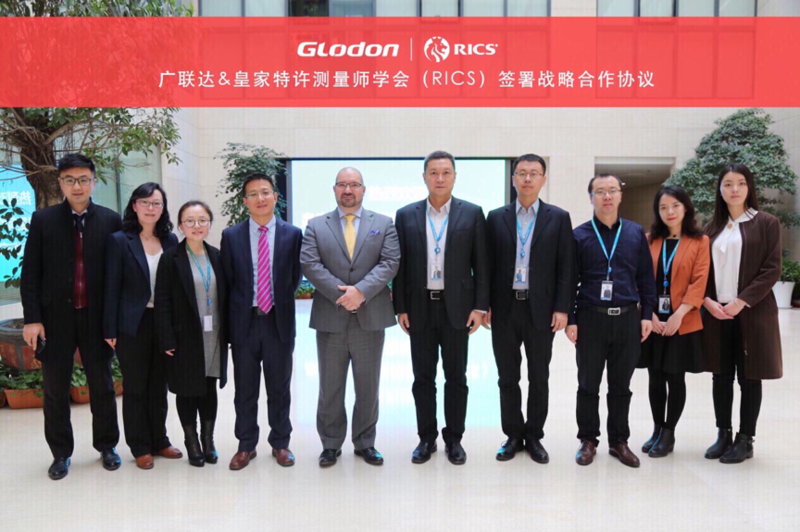 Glodon and the Royal Institution of Chartered Surveyors (hereinafter referred to as RICS) held a strategic cooperation signing ceremony at Glodon’s Beijing headquarter on January 17, 2019. The signing of this strategic cooperation aims to exchange international professionalism and industry best practices between two digital construction leaders. 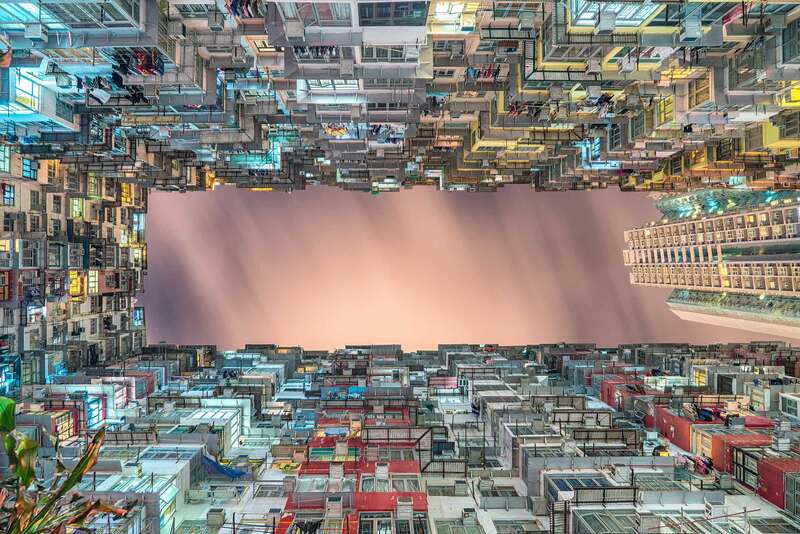 Both Glodon and RICS would like to promote the development of China's construction industry, accelerate the process of global cooperation, and strengthen the standardization of construction practices. In addition, both sides would also like to promote the international exchange of industry personnel, introducing new business opportunities and development opportunities for China’s construction enterprises. Participating in the signing ceremony were Pierpaolo Franco, Managing Director of RICS Greater China, Richard Li (Director of External Affairs & Government Relations), Senior Manager of External Affairs & Government Relations Nicole Zhou (Zhou Wei), James Liu (Liu Qian), (Senior Vice President of Glodon), Jack Zhang (General Manager of International Products Division), Jack Yang (Yang Min), General Manager of Costing BG Marketing Department. RICS is a globally recognized professional society in the field of built environment. Its expertise covers more than 20 different key areas, from civil, construction, real estate to environmental. It has more than 150 years history and currently has more than 180,000 members worldwide, spanning 146 countries and regions; they also have offices in more than 50 cities around the world. Pierpaolo Franco expressed a high degree of recognition for the services and products provided by Glodon and its enterprise strategy. He is very confident that RICS will complement Glodon well by sharing resources together. 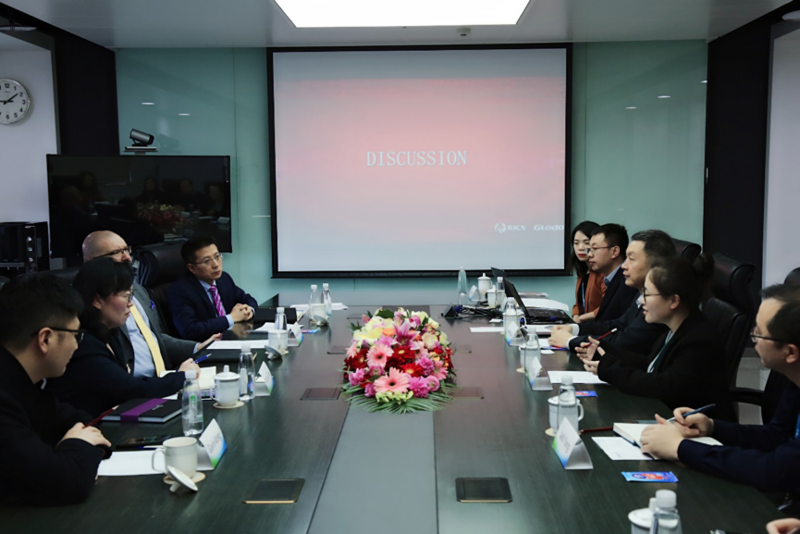 Through the cooperation between the two parties, Pierpaolo is confident that it can bring more business opportunities to Chinese enterprises, not only locally but also globally. Towards the end of the ceremony, James Liu (Liu Qian), Senior Vice President of Glodon, signed an agreement with Pierpaolo Franco, Managing Director of RICS Greater China. For Glodon, this is another important milestone in the establishment of international standards for the construction industry. Both Glodon and RICS are confident that with the mutually complementary resources and advantages, both parties will intend to establish a strategic partnership and actively maintain a good cooperative relationship to achieve mutual development through mutual cooperation. We believe our future will become better than ever.